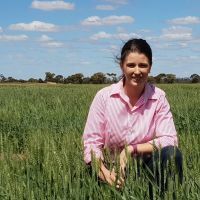 THE Stirlings to Coast Farmers (SCF) Noodle wheat project has shown that high-quality Noodle wheat can be grown consistently in the high rainfall zone of southern WA. The SCF Noodle wheat trials tap into the exclusive international market of premium Noodle wheat, which in the past, has been associated mainly with moderate to low rainfall areas. 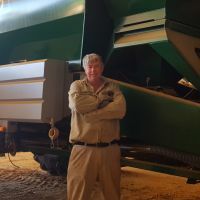 According to grain marketers, there is a perception from overseas markets that Noodle wheat grown in the southern Albany zone is of poorer quality than from northern regions, but the trials are showing that this is not the case. WA is the only external source of wheat grain for Udon noodle manufacture in Japan and Korea. SCF research and development co-ordinator Nathan Dovey said the three-year project, funded by the Department of Primary Industries and Regional Development’s Grower Group Fund, was in the final year of successful trials. SCF has been working closely with InterGrain, which has been developing varieties that are more suited to the high rainfall zone and resilient to late season rains. 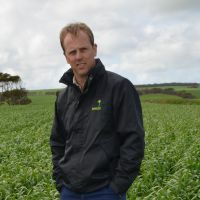 “We have improved the agronomy package for growing Noodle wheats in the Albany port zone,” Mr Dovey said. SCF’s trials take into account both the perspectives of the farmer and international markets. “We are trying to reduce the risk for farmers of having their Noodle wheat downgraded for not making noodle one or noodle two grade and establish what they need to do to hit the top-grade windows more consistently,” Mr Dovey said. In March, SCF released the 2017 trials review of its crop updates, which outlined the results of Noodle wheat trials, along with feed wheat, deep ripping and snail baiting trials. SCF reported in the review that the success of the trials would also mean greater long-term diversity and options for crop rotations in the southern high rainfall zones. The review reports on the key findings from the 2016 and 2017 trials, including the effect of location, yield potential, seeding rate, effect of harvesting time, wheat varieties and price.